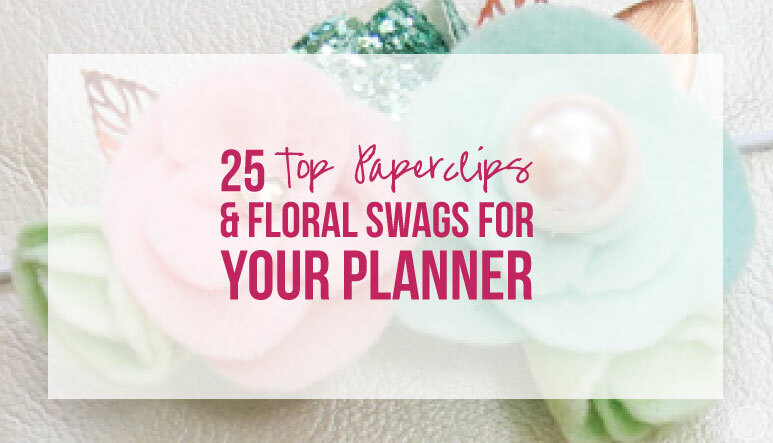 25 Top Paperclips and Floral Swags for Your Planner - Happily Ever After, Etc. 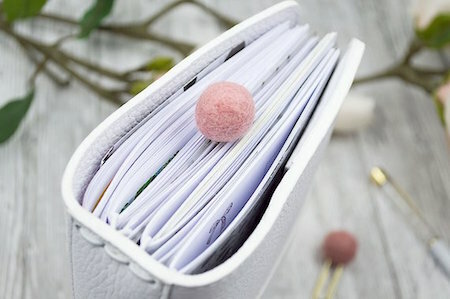 After I shared my tips for putting together a travelers notebook while on vacation I had so many questions about the fun little paperclips at the top of my planner! 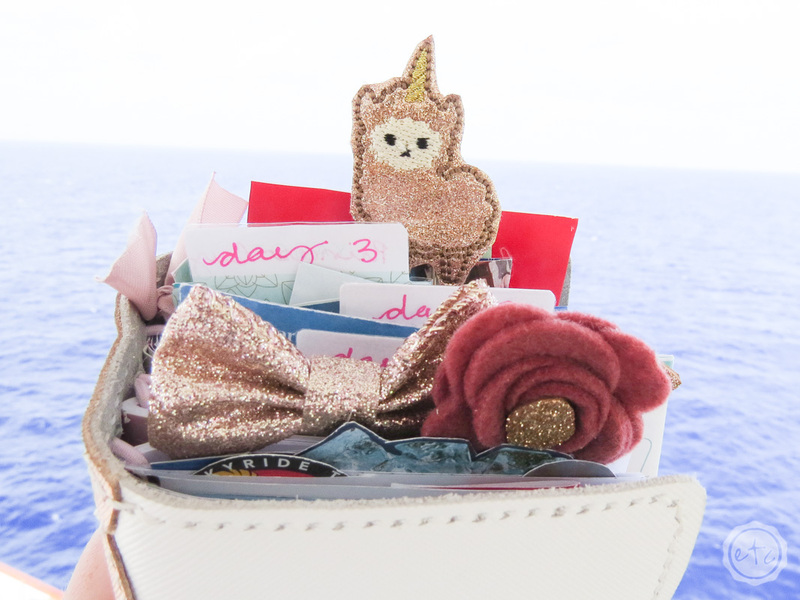 Paperclips are a great way to keep track of exactly where in your planner certain inserts are… like the little rose gold llama corn that marks the map to atlantis at the back of my cruise tn! 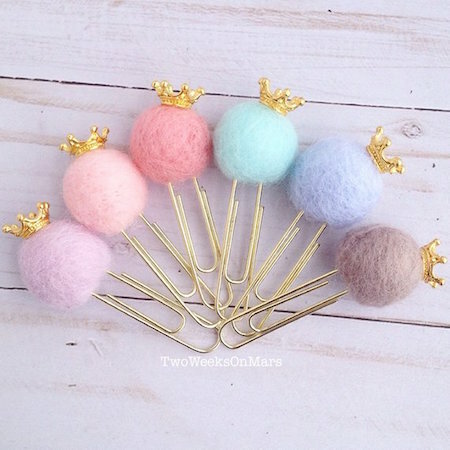 Of course, while some top paperclips are functional I’ll be honest… most of mine are just pretty! 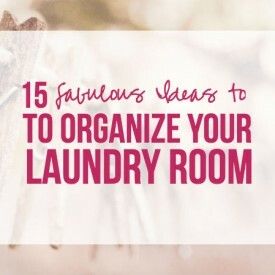 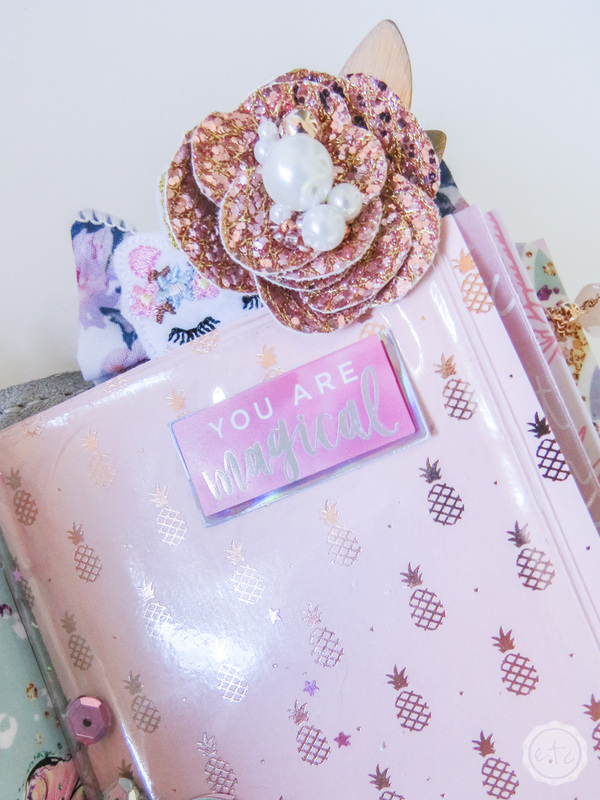 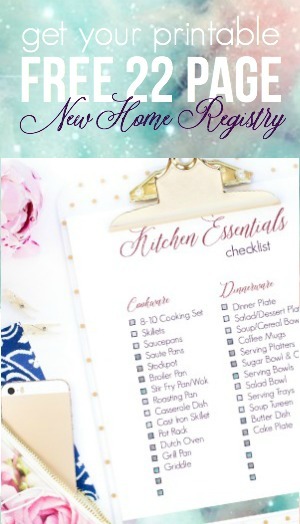 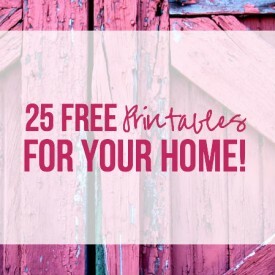 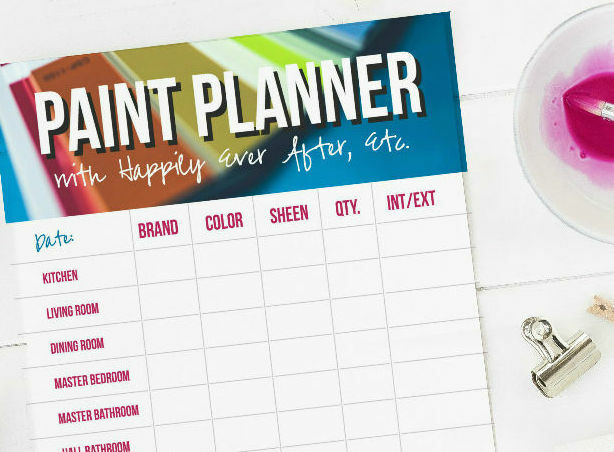 Whether you’re looking for paperclips to mark specific pages and be super functional or you’re simply trying to add as many pretty’s to your planner as possible I have a list of a-m-a-zing paperclips for you to pick from! 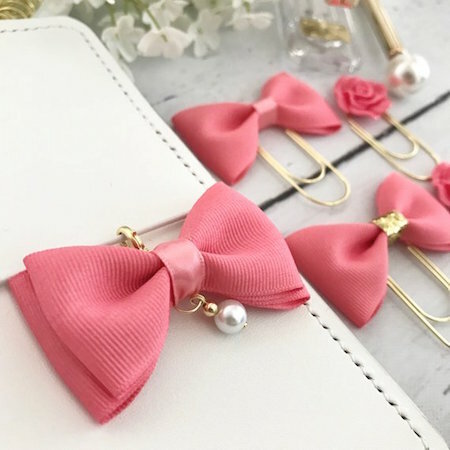 CLICK HERE for this Rose Gold Bow Paperclip! 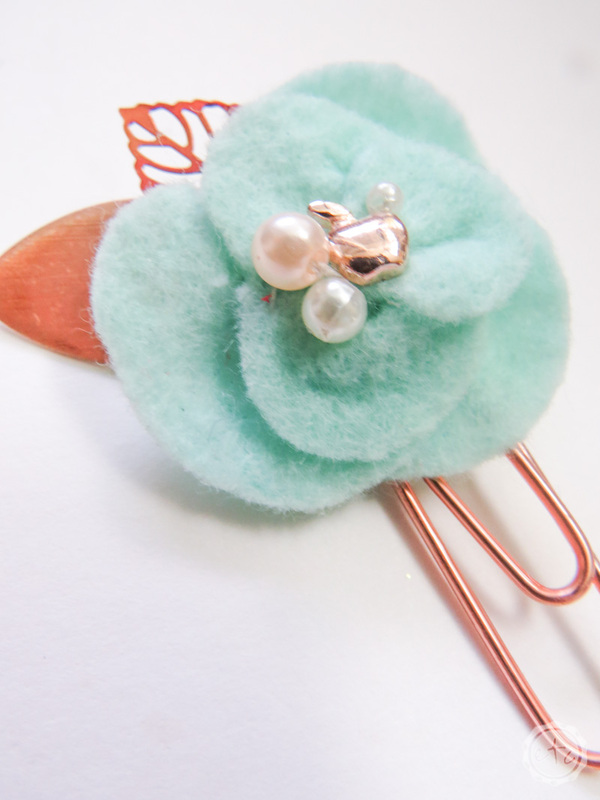 CLICK HERE for this Aqua and Rose Gold Apple Paperclip! 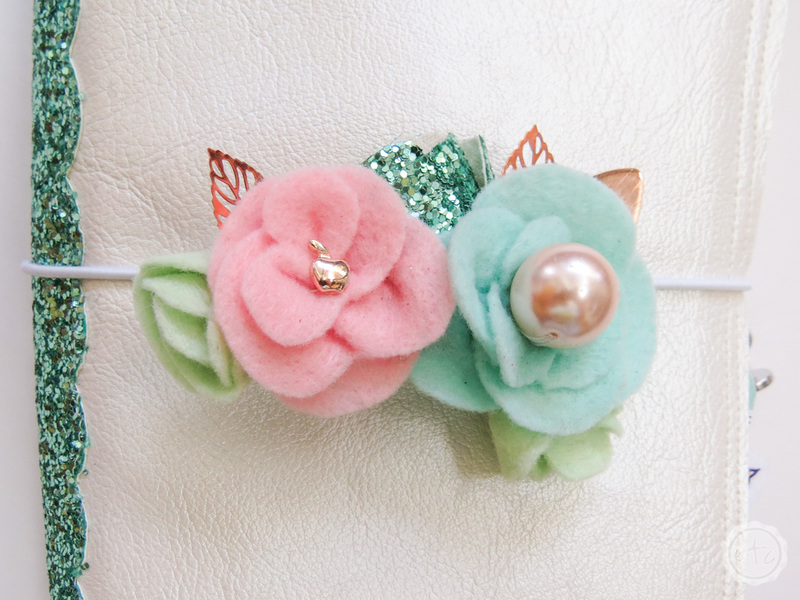 CLICK HERE for this Blush and Aqua Floral Swag! 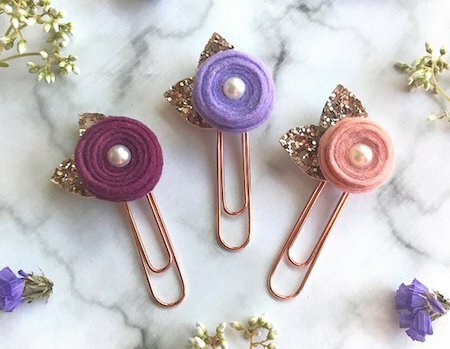 CLICK HERE for this Wool Paperclip! 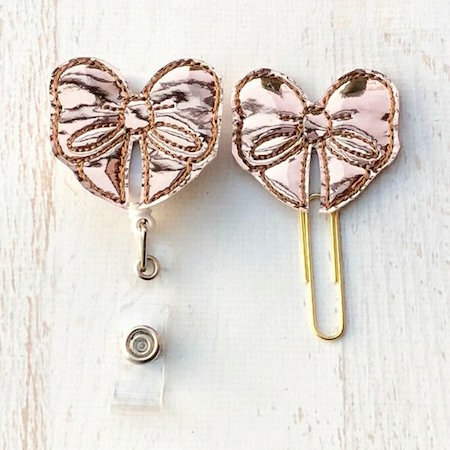 CLICK HERE for this Rose and Rose Gold Floral Paperclip! 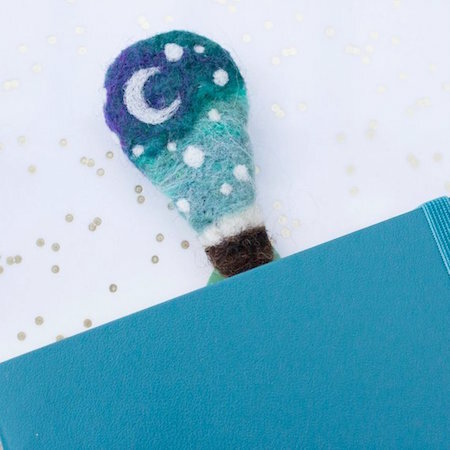 CLICK HERE for this Glow in the Night Sky Paperclip! 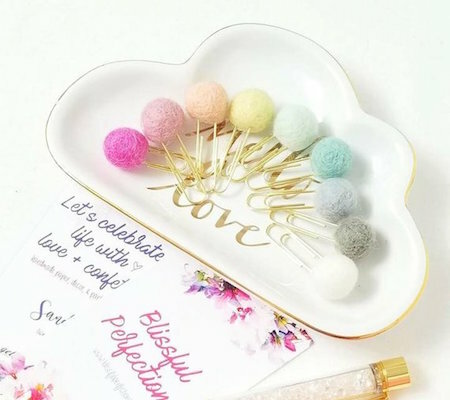 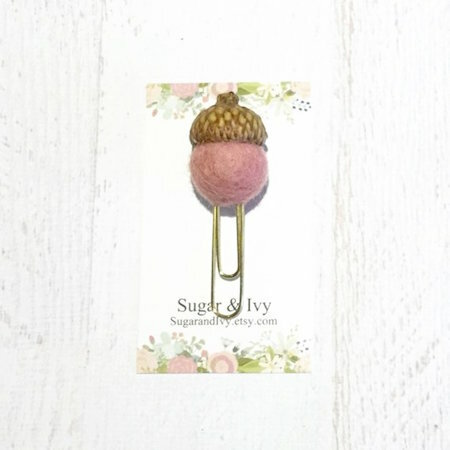 CLICK HERE for this Blush Acorn Paperclip! 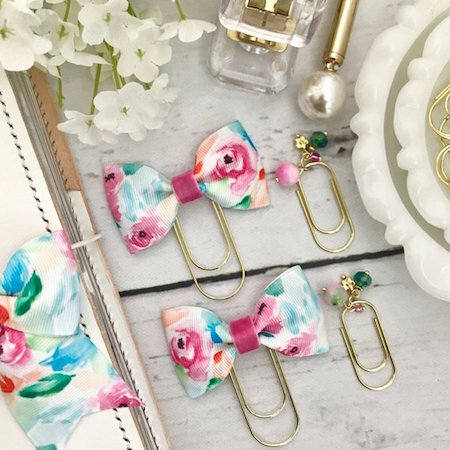 CLICK HERE for this Watercolor Bow Paperclip! 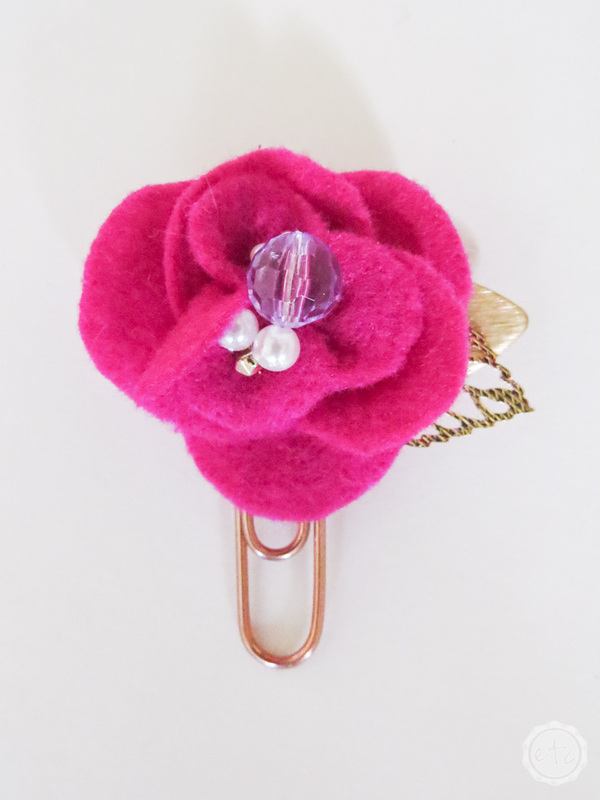 CLICK HERE for this Hot Pink and Lavender Paperclip! 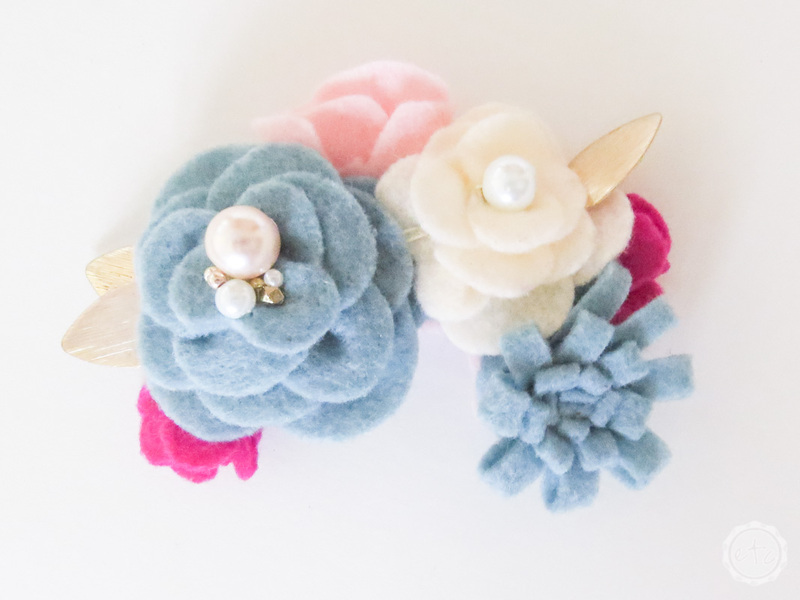 CLICK HERE for this Dusty Blue and Cream Floral Swag! 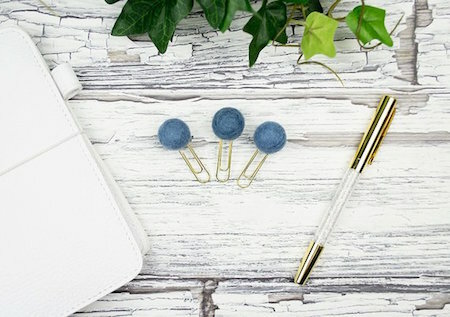 CLICK HERE for this Little Blue Paperclip! 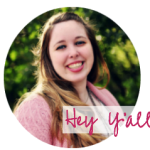 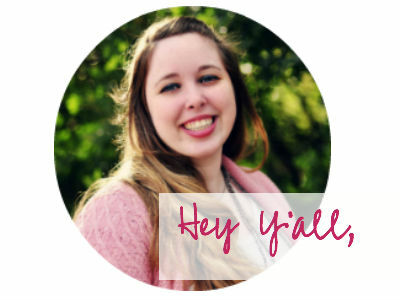 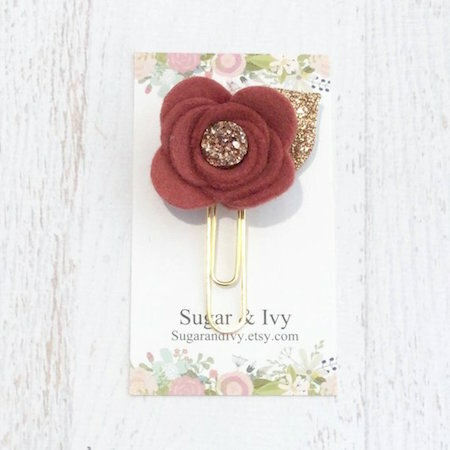 CLICK HERE for this Little Polka Dot Paperclip! 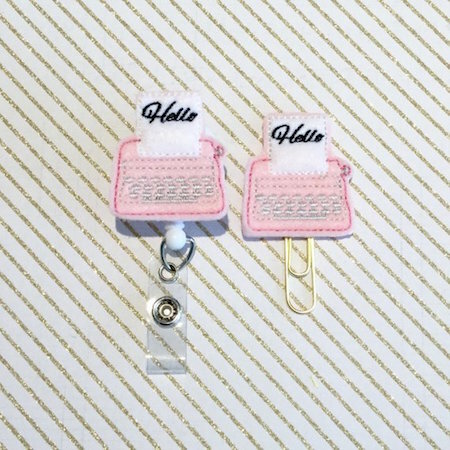 CLICK HERE for this Little Typewriter Paperclip! 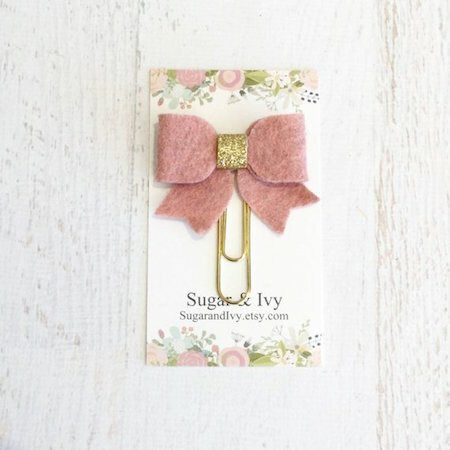 CLICK HERE for this Wool Bow Paperclip! 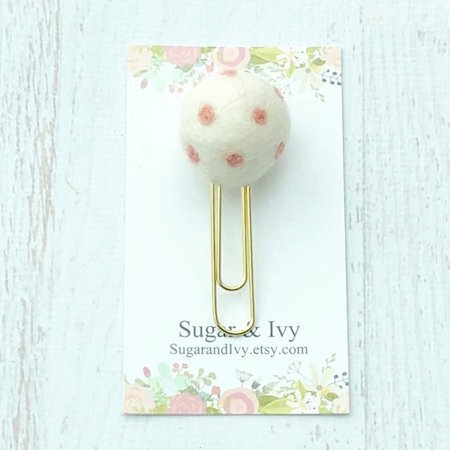 CLICK HERE for this Little Wool Paperclip! 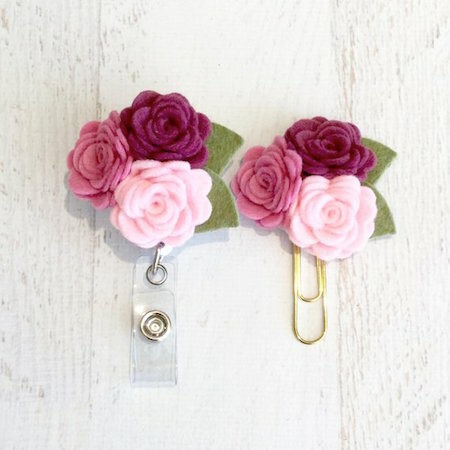 CLICK HERE for this little Floral Paperclip! 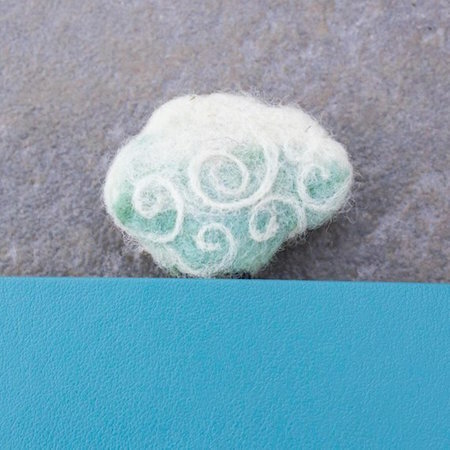 CLICK HERE for this Felt Cloud Paperclip! 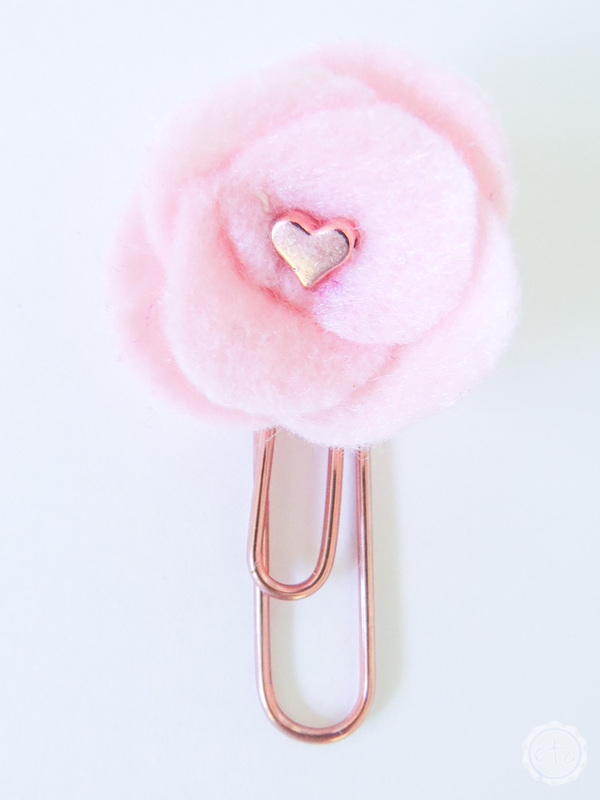 CLICK HERE for this Rose Gold Floral Paperclip! 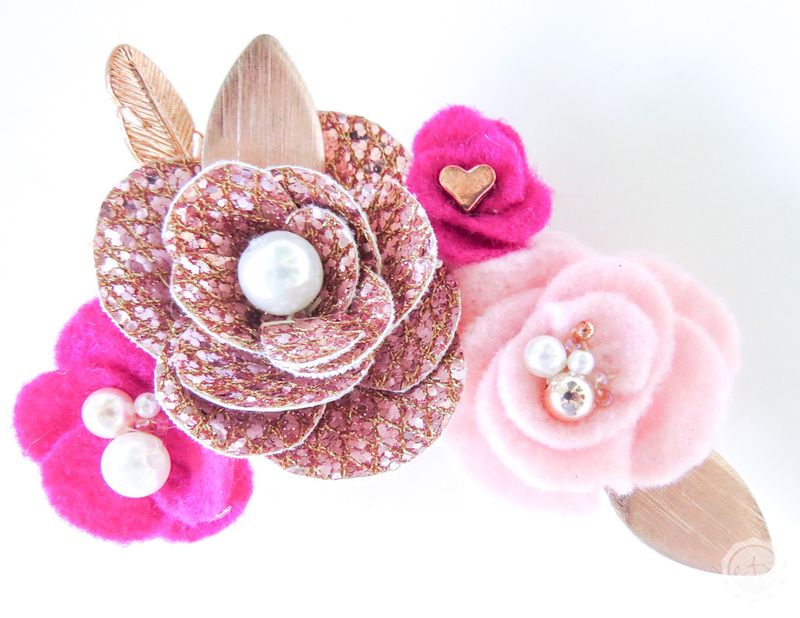 CLICK HERE for this Rose Gold and Pink Floral Swag! 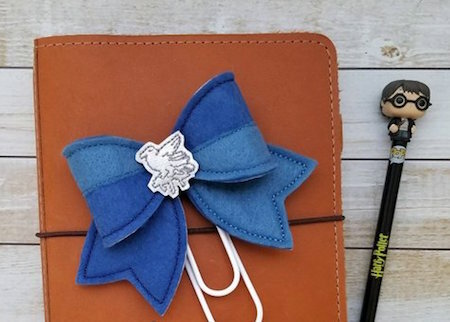 CLICK HERE for this Ravenclaw Bow Paperclip! 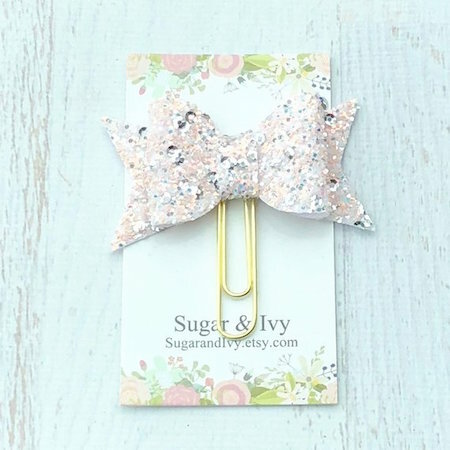 CLICK HERE for this Glitter Bow Paperclip! 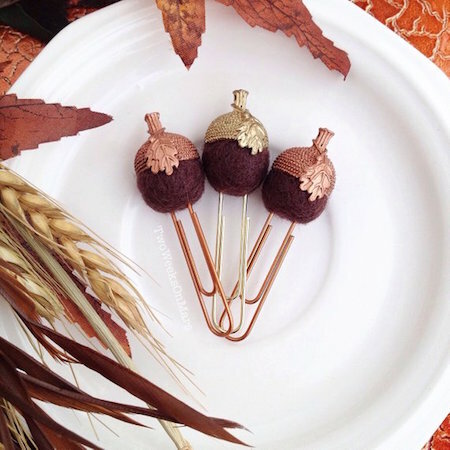 CLICK HERE for this Acorn Paperclip! 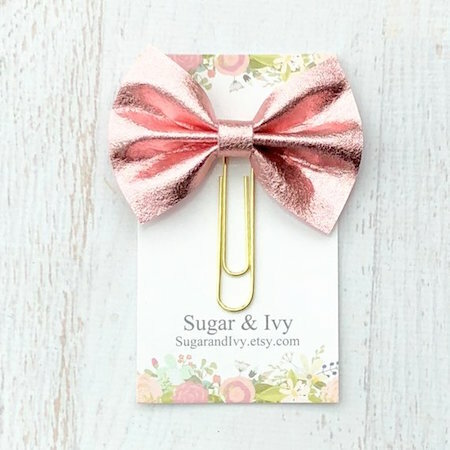 CLICK HERE for this Bow Paperclip! 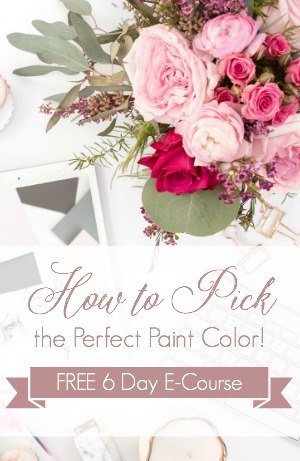 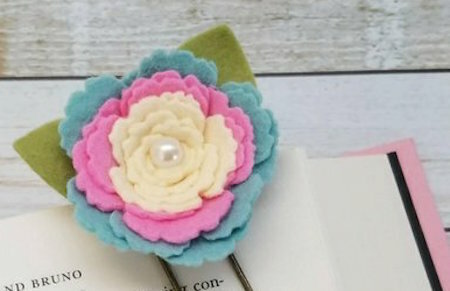 CLICK HERE for this Multi-Color Floral Paperclip! 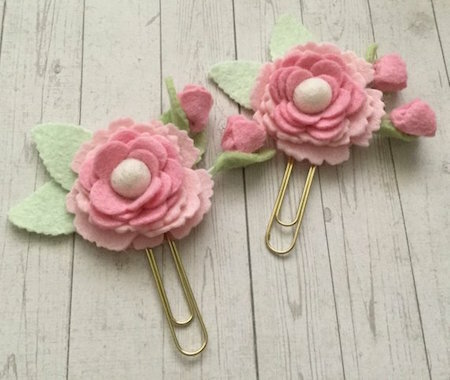 CLICK HERE for this Pink Floral Paperclip! 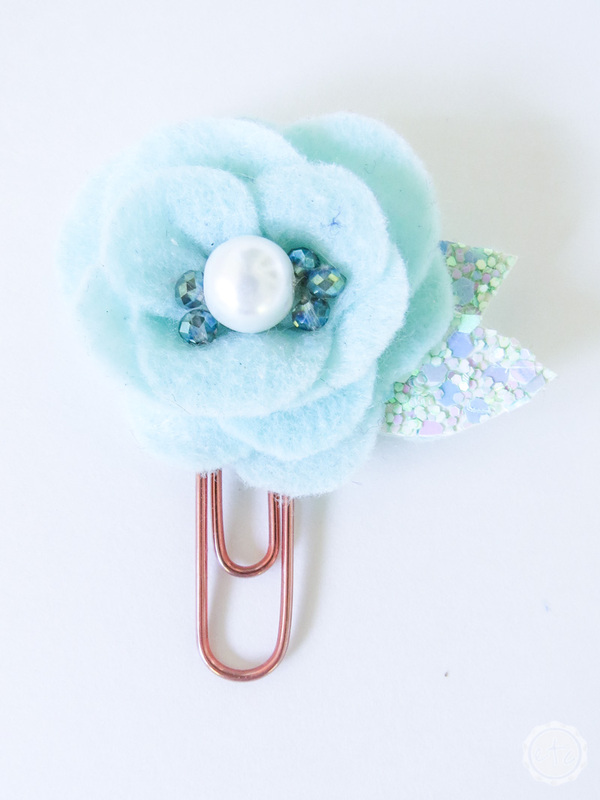 CLICK HERE for this Aqua Glitter Floral Paperclip! 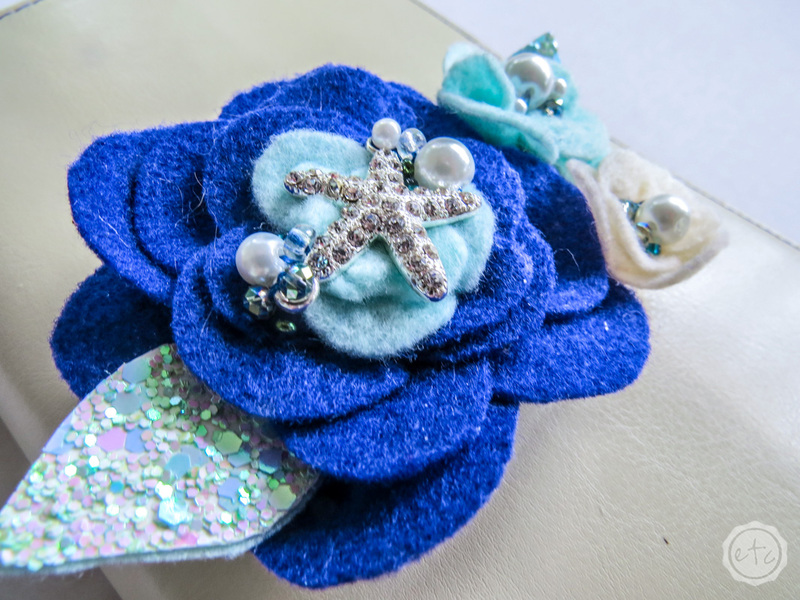 CLICK HERE for this Aqua and Navy Blue Starfish Floral Swag!